Home › Blogging for Success › Business Blogging 101: How Often Should You Blog? Business Blogging 101: How Often Should You Blog? One of the first questions we are often asked by business clients (who see the value of blogging but worry they don’t have the time to make it a success) is how often should we blog? Of course, what they are really asking us is how little can we get away with! The reason is that the more posts that you create on your blog, the more pages search engine crawlers have to index - and the more frequently you post, the more frequently the crawlers will return and the more your blog will increase in page rank. Some bloggers find they run out of ideas for writing new posts and become overwhelmed by the need to post frequently. If you only write occassionally on your blog, you will lose momentum and eventually lose interest in your blog. So how often should you post content to your blog? Well the answer lies in what you want to achieve. If you want a higher search engine rank and an active engaged community, then post as frequently as you can manage without losing interest and momentum - a good rule of thumb is to blog three times a week. Try alternating your posts between short daily ones, which readers may dip into and more detailed, informative posts once a week, fortnight, or even once a month. The key is to establish a regular routine that works for you and is one your readers can rely on. Set aside one day a week to write your blog posts for the coming week and then schedule them to publish on your selected days. You may well find that once you start writing, you will get in the flow of producing content. Creating an editorial calendar for your blog is a very useful support. Inviting guest bloggers to your site can ease the pressure of blogging for you among many other benefits. Above all, find your passion – for when you are passionate about your subject, you will find that you want to communicate that passion with your readers on a regular basis. Are you concerned about the time commitment of a frequent blogging schedule? 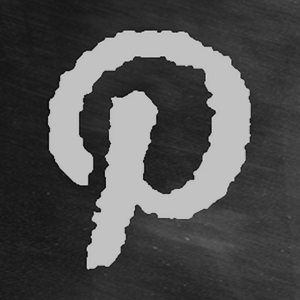 If you still find sticking to a regular blogging schedule is a problem for you, we can help! Contact us today for a free consultation on our ghost blogging service which has provided a workable solution for many of our business clients. 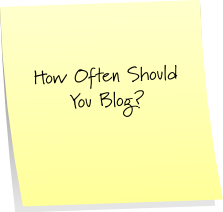 Tagged with: business blog, editorial calendar, how often should you blog? I have been wondering how often I should be blogging, when I set myself a blogging goal for 2013 I decided that once a week was enough, and as the topics usually require a fair bit of research I feel this has stretched me to the limit. I had not considered the option of alternating with shorter posts to allow greater posting frequency. Thanks for the tip! 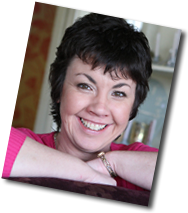 Hi Naomi, I am so glad you found this helpful – the rules aren’t hard and fast – it allows for some flexibility, but Lorna and I are convinced that a regular blogging schedule pays dividends. 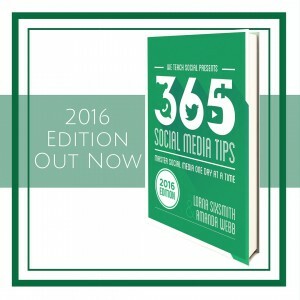 Posting regularly on your blog is very important for your readers that expect you posts to come. Also really helpful to keep your blog alive a SEO boost. I think that it’s best to go with a schedule that works best for you, but keep at it. I would say once a week for sure, but if you can do it 2-3 times even better. Thanks Delia for sharing your expertise.